The one bedroom with loft Aspen Vacation Resort Red Lodge Montana condo vacation rentals measure 900 square feet, and are comfortable for 6 people (with queen beds in both the bedroom and in the loft, plus a queen sofabed). The lodging accommodation includes a full kitchen with all appliances, washer and dryer, and two full bathrooms (both with tub and shower), one upstairs and one downstairs. We own week 34 Unit 5, late August, Friday check-ins. WE NO LONGER OWN AT THIS RESORT. PLEASE RENT SOMETHING FROM THE LEFTHAND MENU INSTEAD. Click here and rent this week. If you’ve never been to charming Red Lodge, a historic town with old West character and a few local characters to boot, now’s the time! Our elevation is 5,555 feet so summer days are comfortable and nights are cool. 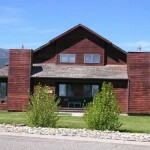 Aspen Vacation Resort Red Lodge is nestled in the Beartooth Range of the Rocky Mountains. 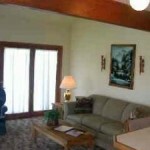 This is a small (10 unit) quiet resort, located on a golf course with great mountain views. 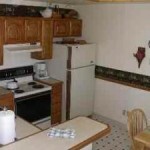 Aspen provides a “rustic”, “laid back”, “peace and quiet” type timeshare experience. 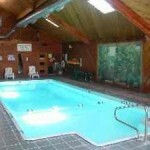 The resort’s Red Lodge complex has a new indoor swimming pool, hot tub and sauna. Chances are you will be the only ones using it! In addition, VHS tapes and DVDs can be rented and books are available on loan. There are brochures in the office of a variety of local and regional activities available, such as horseback riding or whitewater rafting in the summer months. The 68-mile Beartooth Highway, open late May through October, winds through the Rockies from Red Lodge to Cooke City, and eventually reaches Yellowstone National Park. Charles Kuralt rated it America’s most beautiful road! Summer activities include golf on the resort’s 18 hole course, hiking in the National Forest, fishing, tennis, white-water rafting, and horseback riding. For leisure, try a walking tour of Red Lodge’s historic downtown. Lots of mining history on display. 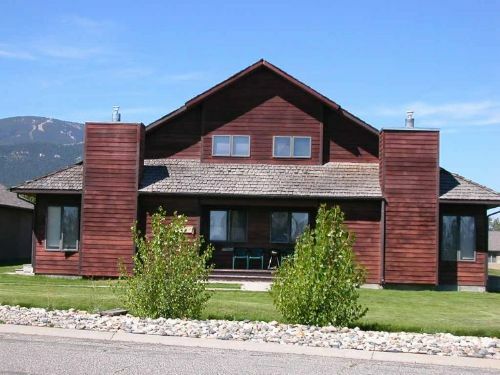 You will find that Red Lodge is not overly commercialized compared to many resort towns. Great hiking close by in the national forest, or take a day trip to the north end of Yellowstone National Park.